Innovum streamlines regulatory compliance in the casino industry. The casino industry takes no risks when it comes to their cybersecurity. 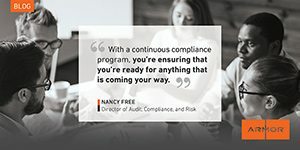 Regulatory compliance is a complex process where every facet of the industry, from equipment manufacturing to the operation of casinos, has strict security rules and unique requirements depending on role and context. To help the casino industry meet regulatory compliance easier, Innovum Technologies created software that automates repetitive license applications in the renewal and reporting process – storing all this data information in Innovum’s highly secure data centers. Innovum offers an intuitive solution that saves organizations value in time, costs and information storage space, but that’s only one side of the picture. Innovum also works diligently to provide customers with the confidence that their information is safer with Innovum than in analog form or digitally on internal systems. To help build this confidence, Innovum partnered with Armor to bring suspicious activity to their attention. Using Armor’s Armor Anywhere solution, cyber threats are constantly monitored and managed with 24/7 security. Learn more about Innovum Technology’s innovative solutions by reading our “Security & Compliance Are No Gamble” case study.